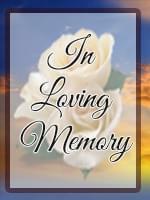 Irene Ware, 91, of Mesa, AZ passed away January 27, 2013 surrounded by her family. She was born August 20, 1921 in Bellefontaine, Ohio. She moved to Mesa in 1948. She worked in retail sales most of her life. Irene is survived by two daughters, Pat Humphrey of Mesa and Mrs. Douglas (Loraine) Williams of Florida, two step-children Judith Fullerton of Tempe and Doyle Fullerton of Mesa, 6 grandchildren, 12 great-grandchildren and 4 great-great-grandchildren . Memorial contributions may be sent to Banner Hospice. , words are inadequate in the face of grief. But what is of value is just being there for your frined. People underestimate the value of that. Just to sit quietly with her, hug if needed, talk if she wants to, but allow the silence too. And also sticking around for the long haul. Too many people only offer support up until the funeral, when it’s after that the reality of permanent loss really sinks in, as the shock wears off. And because nobody knows what to say and it makes everyone feel uncomfortable, lots of people just keep away, which makes things worse of course. Just be there, so she knows she’s not all alone.